The girls played well! though we had so few. Thanks to RP for providing a good venue as always. The three goals will be up on Youtube tomorrow. Too tired! 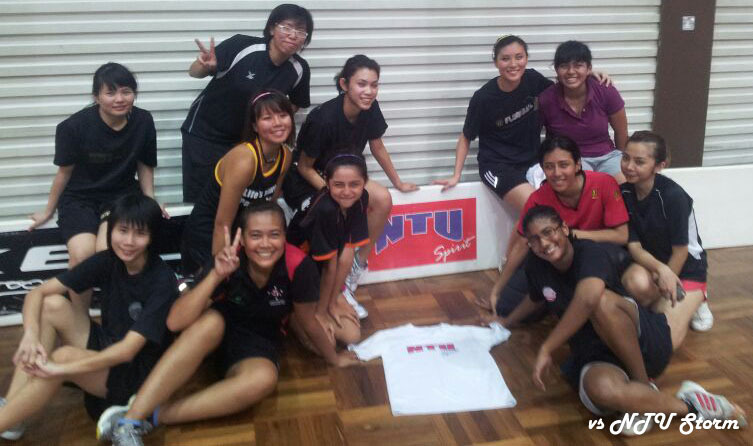 Thank you Valtina Warriors and NTU Storm for the friendly matches. We have learnt alot! Good luck for the league. Volunteering, organizing events, working, schooling, and playing: There’s nothing this team will stop at. They are provided with equipment and a place to train but in return they need to volunteer for events organised by Kebun Baru Community Centre. 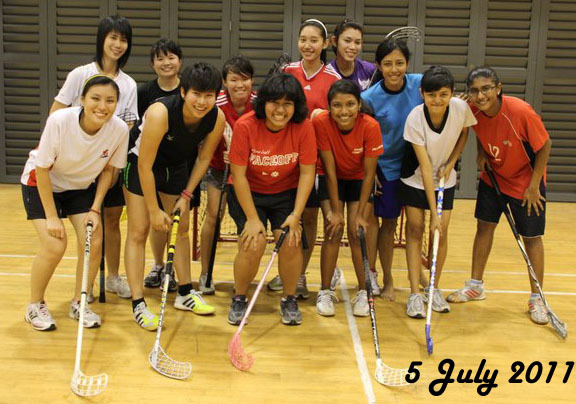 Sara Lim, 23 and her team of 25 floorball players aged 15 to 26 spend their free time participating in events such as the One Community Walk, a futsal tournament and Inter-Generational Sports Day that was held recently. The Inter-Generational Sports Day is one of Kebun Baru’s signature events spearheaded where three generations of families spend a morning playing games together with other families while getting the elderly to remain active. 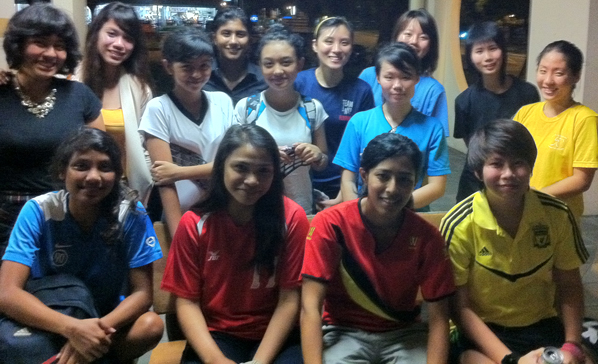 Sara’s team of floorball players was part of the organising committee. On the day itself, the team’s job was to demonstrate how the games are played and help out in the various stations. However, not all of them have time to volunteer as most of them work and have school projects, that is why at the opening of 3G Centre in Cheng San Community Centre only a handful of her players volunteered their time to be ushers and in return, they got to meet Singapore’s leaders like PM Lee. Other than volunteering their time, the girls also organise events and tournaments such as the Kebun Baru Community Sports Club Futsal Tournament 2011 to raise funds for their floorball club. 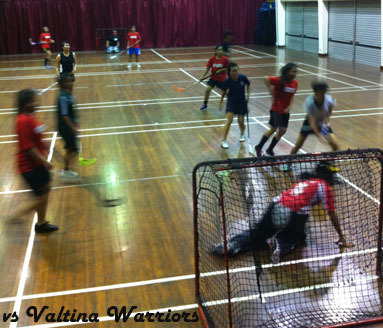 It was the first event solely organised by the floorball team. From its inception, they faced many obstacles because they were not familiar with the rules of the game but they managed to attract over a hundred participants on a rainy Sunday afternoon. An anonymous person who took part in the competition said, “I was satisfied with how the tournament was held, though there were some hiccups. Hope this feedback will help you to become better and stronger next year. Shall look forward to it”. This was one of the many messages left on their blog after the event was held. The girls hope to organise more sporting events in the future. Taking part in the One Community Walk last year that was held in conjunction with the annual Community Sports Festival, the girls helped to show support for the Youth Olympic Games. Her team helped out the day before at Khatib to pack thousands of goodie bags with other fellow volunteers from various Community Centre committees such as Ang Mo Kio GRC and Yio Chu Kang SMC. Her team members have tried cycling, futsal, volleyball and swimming even though most of them have not played the sports before. According to Sara, she will encourage her team to try out all sports, participate in the activities and help out. She hopes that it will help her team be more bonded by helping others and volunteering rather than just going out after training to have dinner and hanging out together. In May 2010, Sara and her friend, Mohd Firdaus, 27, were referred to Kebun Baru CSC and had to adhere to some conditions before their request was granted. Sara and her team had to train in the Kebun Baru area itself, attend the monthly meetings and most importantly, participate in community events and volunteer their time to be helpers. The girls come from different walks of life. 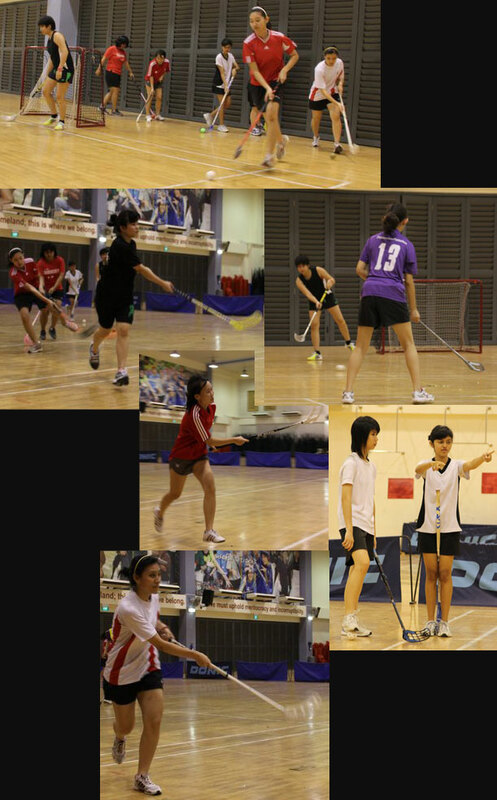 Some have played floorball before and some of them haven’t. Starting out at 5 members, the team has grown tremendously since then. They even have a coach who is a national player, who volunteers his time to coach the girls. They have played in their floorball league and Kebun Baru CSC sponsored the registration. They entered the competition as the underdogs and were almost kicked out of the competition in the earlier rounds. Although they lack in skills, they were recognized as one of the teams with the best team spirit and had the best goal celebration. 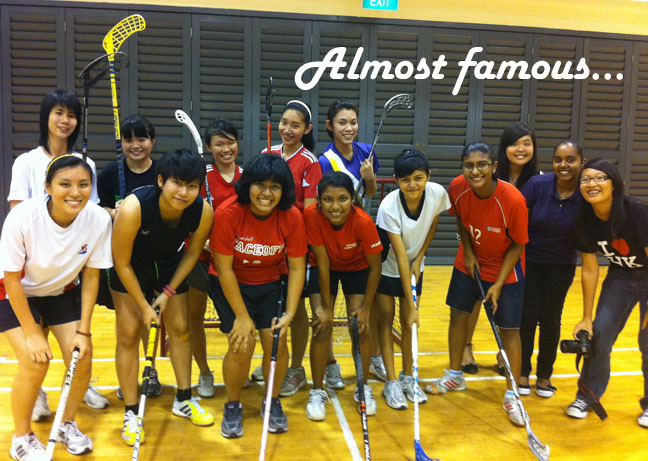 Sara feels proud of her girls as even though floorball isn’t a very popular sport and is mostly restricted to schools, the team stayed together after a year, even though they were 4th last in the floorball competition. 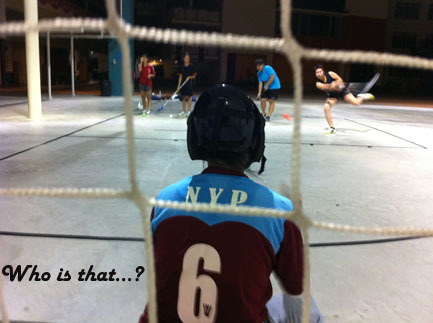 She hopes that she can reach out to residents to play the sport and help promote floorball. We got interviewed today by Ngee Ann Polytechnic students (the girls without equipment hee) who found our website on Google. Woo hoo! And photographed. Thank goodness my girls are so good-looking. Please choose only the good shots! I will upload the article once I get it. Always glad to help! Hey girls, there training tomorrow. Same time Same place. For those who has their own ball, pls bring along. Thanks.